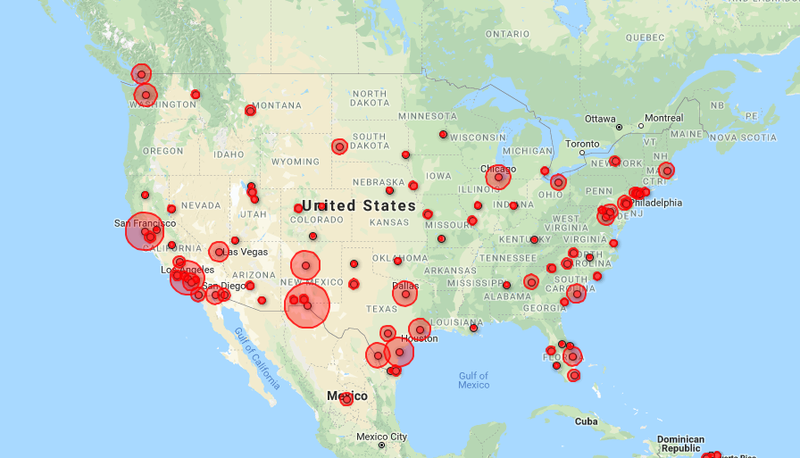 For more than 10 years, ICE's Operation Community Shield has targeted transnational criminal organizations and criminal aliens involved in street gangs. 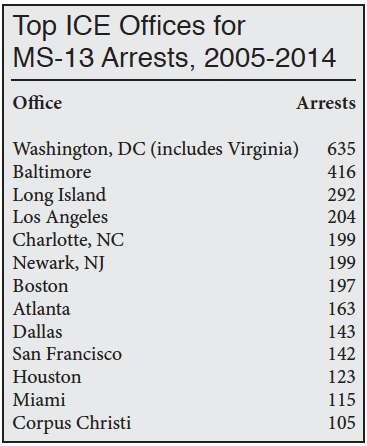 One of the most notorious of these is MS-13, which was originally formed in Los Angeles by illegal alien thugs from El Salvador, but now operates across the United States and across international borders. Over a 10-year period (2005-2014) ICE arrested approximately 4,000 MS-13 members, leaders, and associates. This represents about 13 percent of all gang members they arrested nationwide (31,000) during that period. 92 percent of the MS-13 affiliated aliens arrested were illegal aliens. Of those, 16 percent had entered illegally at least twice. Just over half of the MS-13 affiliated aliens ICE arrested were citizens of El Salvador. Among the others, 16 percent were Hondurans, 14 percent were Mexicans, and 8 percent were Guatemalans. While MS-13 affiliated aliens made up 13 percent of all the arrests, they accounted for 35 percent of the murderers arrested by ICE. For more information on Operation Community Shield, see Jessica Vaughan and Jon Feere, "Taking Back the Streets", Center for Immigration Studies, September 2008. 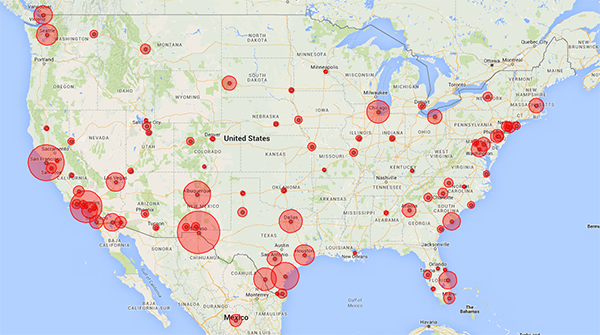 Source: All figures are from ICE gang arrest reports covering 2005-2014, obtained through FOIA requests.